As you may have noticed in the past, I am a massive Rebecca Raisin fan. So when I spot a facebook status asking for helpers for her new cover reveal I just had to say yes... even though I was supposed to be checking out of a hotel at the time! What a lovely Parisian looking cover it is too... so let's check out the blurb and other important info about the book! 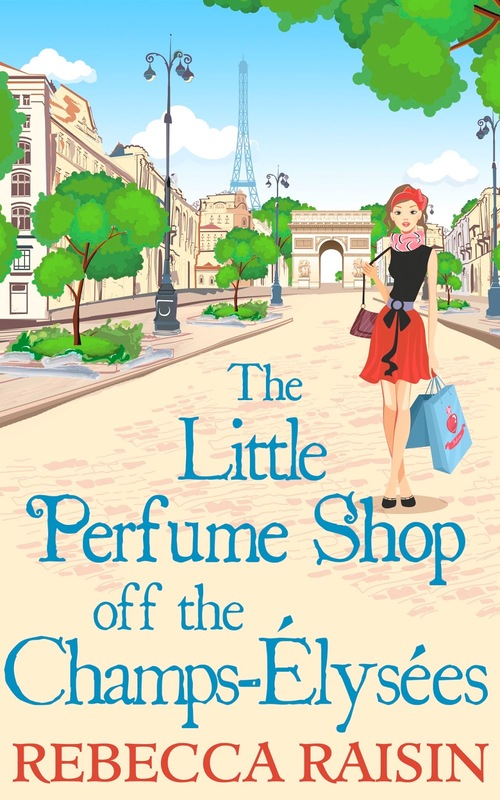 The Little Perfume Shop Off The Champs-Élysées is being published on 8th September. I don't know about you, but I can't wait to get stuck into this book. I feel like I have been waiting far too long for this latest book in the Little Paris collection. Bring on September! What do you think? Will you be reading this book? What are your favourite Rebecca Raisin books? I would love to hear from you.